The number five. I always order the number five. Yin Du Wonton Noodle opened up in Chinatown less than two years ago and early on, I became a regular. A short walk from work, I go there whenever I’m craving a warm, comforting bowl of Chinese soup (which is often). Yin Du’s cash-only menu is somewhat limited, and despite trying a few of their other dishes, I always come back to the number five: dumpling noodle soup. The chewy egg noodles and shrimp and wood ear mushroom-filled sui gao are perfect with a drop of fiery chili sauce. I often order their steamed beef brisket and noodle soup too, which is equally satisfying. The beef brisket sauce is delicious enough to stand on its own. The wonton noodle soup is pretty good too. 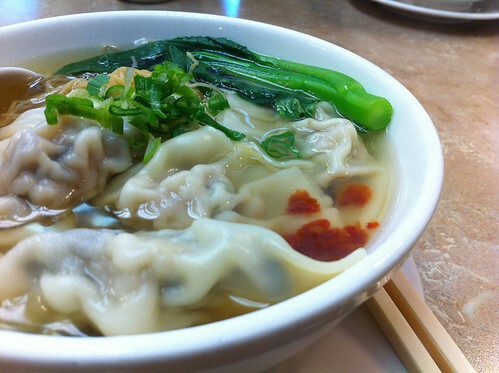 Yin Du Wonton Noodle is a casual operation and closes early at seven in the evening and is often packed for lunch. Plan accordingly and the next time you’re craving noodle soup, go for the number five. La Folie is a San Francisco institution. 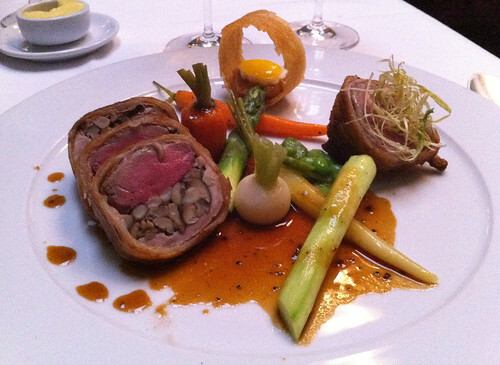 An old school, fine dining, all-the-bells-and-whistles affair. I’d booked a table for two for Nishan’s birthday a few months ago, with fair notice from friends that La Folie’s multi-course menus are a decadent experience. Internet, I have never eaten so much decadence in one meal. 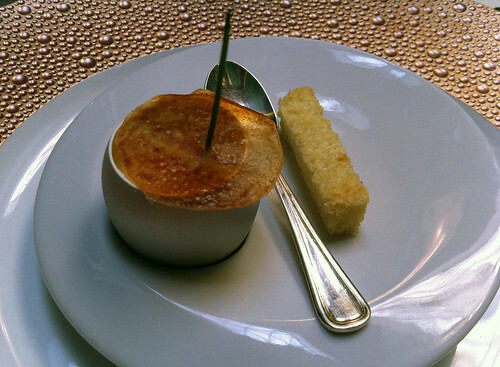 We chose the five-course menu (big mistake: the kitchen at La Folie sends out amuse bouches in between each course) and found ourselves capping out by the third plate. But it was all delicious. Delicious, delicious decadence. Our first amuse bouche to arrive was the spring panna cotta. This tasted faintly of English peas and and was smooth and cleansing to the palate. 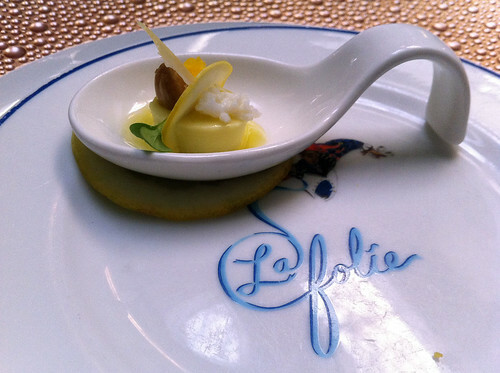 Next came the truffled egg amuse bouche. This was among my favorite tastes of the evening: velvety liquid egg infused with truffles, served in a delicate eggshell and topped with a potato crisp, served alongside a piece of toast to soak up the truffley goodness. 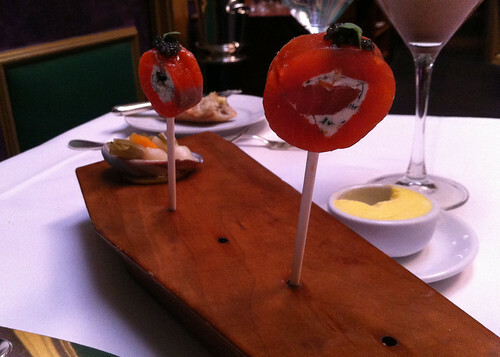 Our third amuse bouche was the smoke salmon lollipop, served with pickled vegetables. So cute and playful, and tasty to boot. 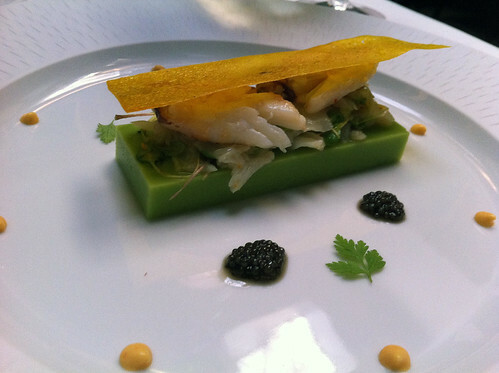 Finally, four plates in, my first course arrived: the dungeness crab salad. A generous hunk of crabmeat was served atop English pea panna cotta with a yellow curry tuile and curried crab vinaigrette. 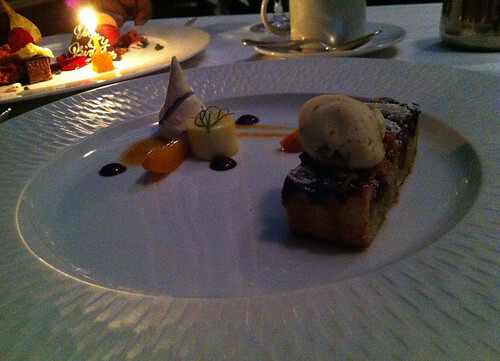 Absolutely delicious, and I appreciated that the curry flavor wasn’t so strong as to overpower the panna cotta. Our extravaganza of decadence continued with a tempura duck egg, which is exactly what it sounds like: a huge duck egg, coated and fried in tempura batter. 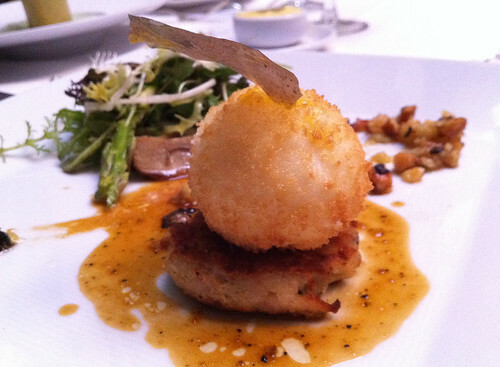 This was served on top of a sweetbreads pancake and almond pesto alongside wild mushroom salad and truffle vinaigrette. This dish was beautiful, and while tasty, it was among my least favorites of the evening. More truffle flavor, please! 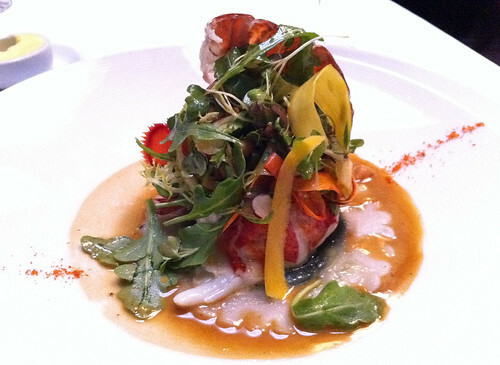 Next came one of my favorite dishes of the meal: butter poached lobster. This was plated on top of wild nettle ravioli and truffle beurre fondue, wild argula salad, and almonds. I wasn’t expecting such a giant, succulent piece of lobster. And the ravioli? So velvety good. 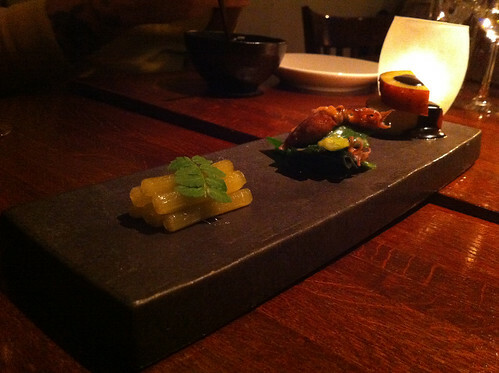 My next dish (yeah, seriously) was the roti of quail and squab. This was such a creative dish, and I wish I wasn’t so full that I couldn’t eat most of it. Stuffed with wild mushrooms and wrapped in crispy potato strings with truffled jus, this wasn’t a roti in the traditional sense. Still, it tasted incredible. Are you still with me? Good, because here come the sweets. We tasted a palate-cleansing sorbet and foam amuse bouche, which was thankfully small enough to finish eating. I was grateful for foam and you know, not a giant steak. 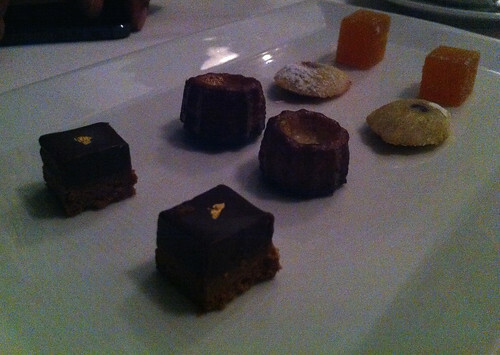 Our millionth dish of the evening was the petit fours. We couldn’t finish this, but I did happily nibble at the miniature cannelles. I love cannelles! My last dish of the evening was the sorbet and berry cake, which I don’t remember much, probably because I was about to black out from overindulgence. 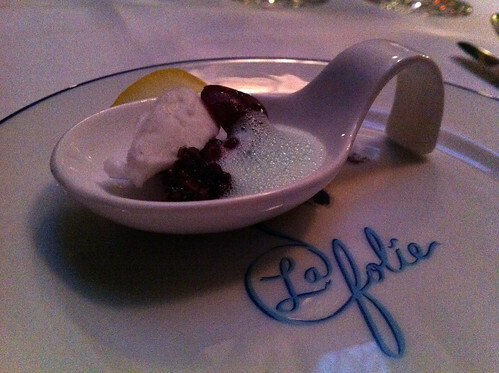 Insane gluttony aside, La Folie remains one of my most memorable meals to date. 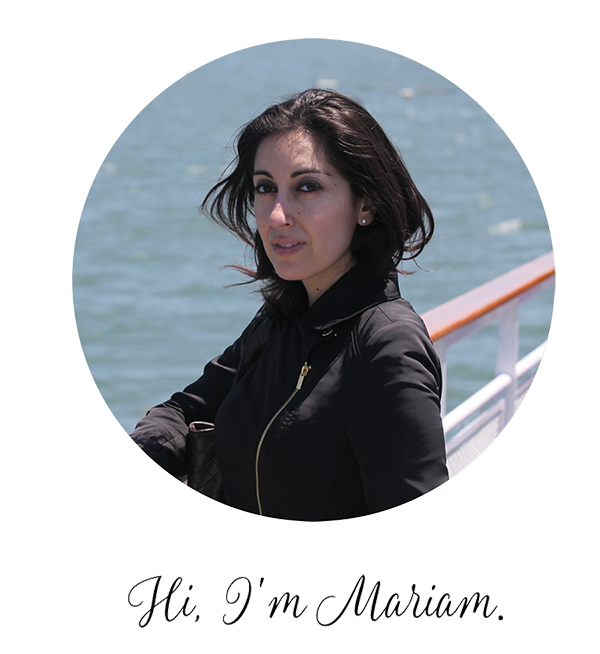 The service is impeccable, the food outstanding and unique, and the ambience a glamorous throwback to old San Francisco with a heavy touch of Paris. Decadent indeed, and in the best way imaginable. Yeah, yeah, I know. Another izakaya. But this one is different, really. Izakaya Yuzuki in San Francisco’s Mission District may be one of the trendiest types of restaurants to pop up in one of the trendiest parts of town, but this place is serious, going so far as to make their tofu and miso in-house. I met here one evening for a reunion dinner with friends, and we started with the Kyoto-style local vegetables. Light and slightly piquant, these were the perfect palate cleanser for our meal. Next we shared a plate of simple, unadulterated sashimi. 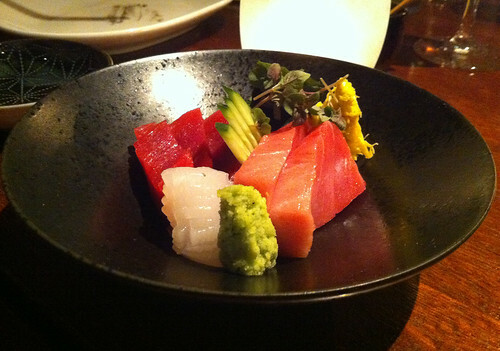 Raw fish isn’t the strongest suit of your average izakaya, but this was an exception. Buttery tuna and rich salmon left me wishing for more. 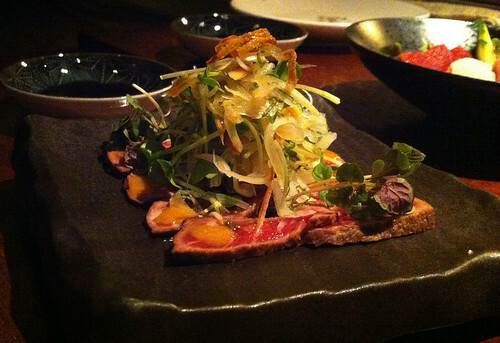 I was quickly distracted by the seared waygu beef tataki that came next. Served with miso sauce and onion salad, this was one of our heftiest dishes, and among the quickest to go. Speaking of quick to go, my personal favorite dish here was the chawan mushi with uni, an egg-y, custard-y dish so comforting that it was gone before I had a chance to snap a photo. 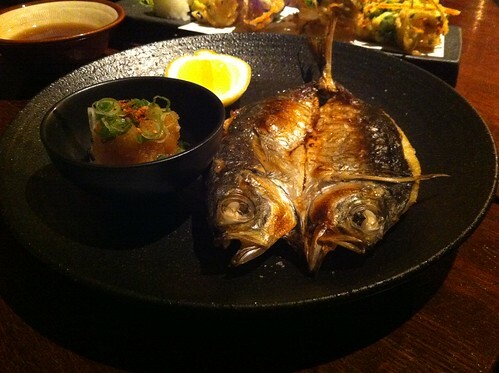 Next came the grilled mackerel, which was too bland for my taste. I typically love mackerel, but I would have preferred a more flavorful fish here. 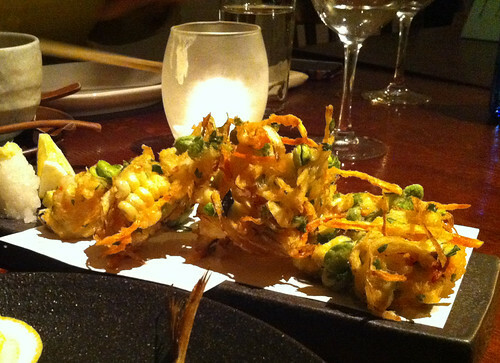 Next up: shrimp and root vegetable tempura served with green tea salt, one of Izakaya Yuzuki’s most popular dishes. We loved this so much we ordered it twice. We finished our meal with the grilled omusubi, a crispy rice dish topped with shoyu-flavored vegetables. A solid end to a solid meal. 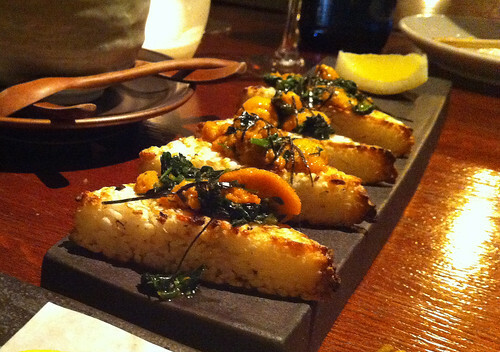 True to izakaya form, the servings at Izakaya Yuzuki are small, so keep that in mind when ordering. Our party of four went through nine or ten dishes, and amazingly, it wasn’t too much. Still, not all izakayas are created equal, and Izakaya Yuzuki is clearly paying attention to the details. I’m picky when it comes to desserts. Cakes don’t to much for me and chocolate doesn’t really move me either. But tapioca? Coconut? Lychee? Delicious. When it comes to satisfying my sweet tooth, I look east. And Kowloon Tong Dessert Cafe in San Francisco’s Richmond District is perfect for that late-night sago or sesame dumpling fix. 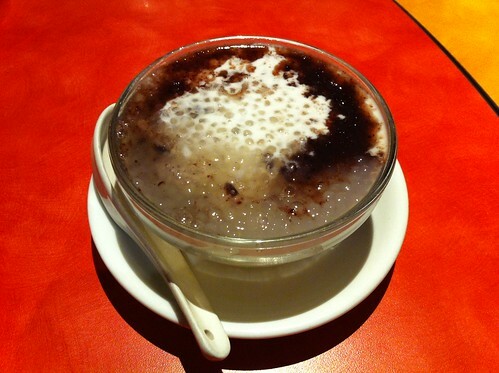 I visited during a chilly evening so I got a the coconut milk sago. Steamy and gooey (in a good way, I swear), this was comfort in a bowl. The best part? 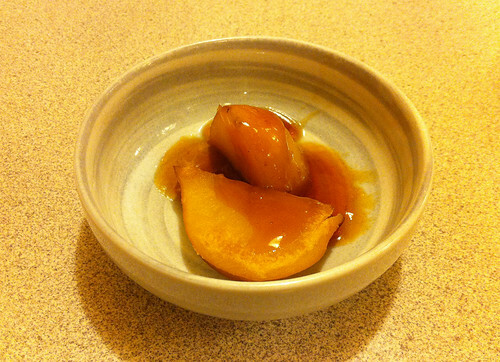 It wasn’t too sweet: perfect for my finicky dessert palate. Kowloon Tong has tons of other desserts I can’t wait to go back and try again. Black sticky rice? Check. Mango pudding? Please. Waffle? Of course. Kowloon Tong is open until one or two in the morning on most nights, which leaves you with plenty of time to enjoy dinner in the Richmond beforehand. Who needs cake when you’ve got tapioca pearls? I first fell in love with Minami Restaurant back when I was a university undergrad, living in San Francisco’s Richmond District. Smitten by the city and its seemingly endless supply of good eats, Minami was a tiny hole-in-the-wall sushi joint just a short walk from my flat. Their simple, delicious rolls quickly made Minami my favorite sushi restaurant, far away from the crowds. It was my little secret (well, mine and the entire Richmond District’s). Fast forward to 2013 and I finally repaid Minami a visit after not having been for nearly a decade. I dropped by one evening with Karen and Anoop, eating partners in crime, and we started with Minami’s signature complimentary dish of sweet potatoes in a sweet, sticky soy glaze. This dish is no-frills but the potato is so perfectly cooked that I could happily eat ten more. Next, we got to business. 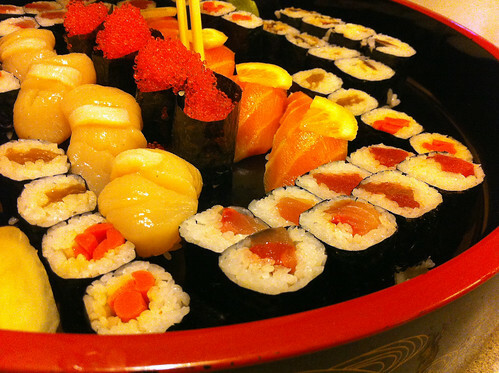 We ordered a platter of maguro, tobiko, hotate, sake, and kampyo and oh man, had I missed Minami. This place is just as good as I remember it being, and it’s not just the nostalgia talking. Don’t go here expecting crazy rolls and you won’t be disappointed. Minami is perfect purist sushi in a no-frills setting. I’m not sure why I let nearly ten years roll by without paying my old stomping grounds a visit, but one thing is for sure: Minami has only gotten better with time.